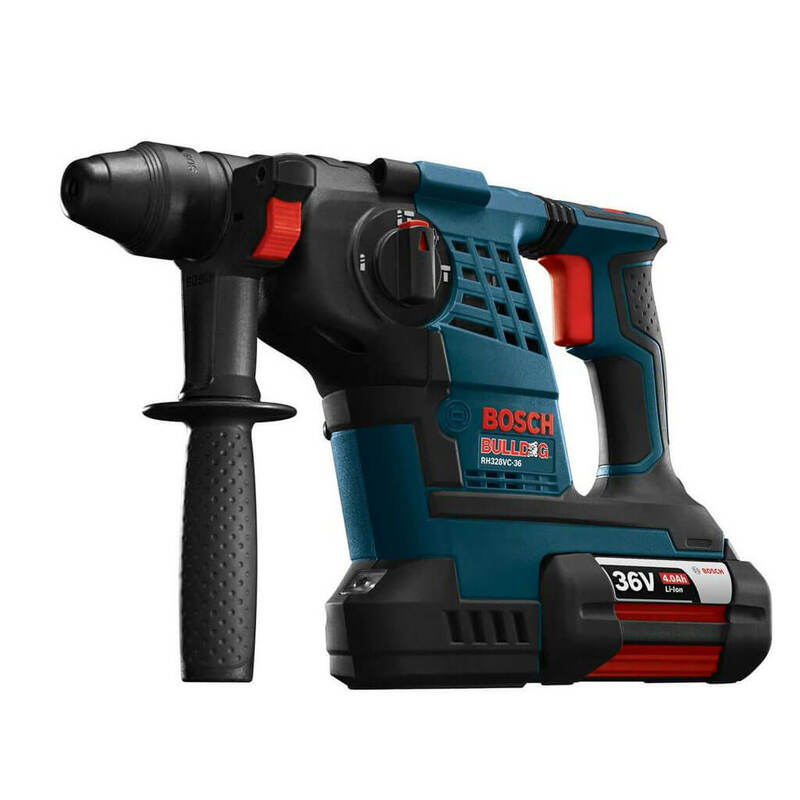 BOSCH 36V Li-Ion Bulldog 1-1/8-Inch SDS-plus Cordless Rotary Hammer Kit is a 1-1/8-In. SDS-plus rotary hammer that provides the power of corded rotary hammers with the convenience of 36V cordless technology. The Four Pole motor delivers 4,100 bpm, and it has Vibration Control™ for additional control while mitigating vibration. For users who are looking for mobility and muscle, this powerful rotary hammer offers 36V power combined with long battery runtime, user comfort and a variable-speed trigger with reversing. This hammer provides Electronic Precision Control for smooth starts, Vario-Lock positioning to rotate the chisel and KickBack Control to help with bit bind-up situations. It has three modes: rotary hammer, rotation only and hammer only.